Theresa May is returning from another tumultuous Brussels summit amid warnings that her premiership is on the line. EU leaders agreed last night to give her more time to get her Brexit deal through parliament. But she faces a Tory Party losing patience with her leadership and threats that MPs could now seize control of the withdrawal process. Sir Graham Brady, the chairman of the backbench 1922 committee, was reported to have met Mrs May to tell her that most Conservative MPs now want her to quit. The Daily Telegraph said that Sir Graham visited her in Downing Street on Monday after being "bombarded" with text messages from MPs demanding she should go. The paper said that it was one of a series of direct confrontations with Conservative MPs in the run-up to the summit. Mrs May was said to have been challenged by a group of 15 whips just before last week's meaningful vote - which she lost by 149 votes - with one directly calling on her to quit, while others warned that the trust of backbenchers had been lost. 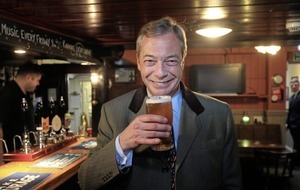 And there was said to have been a further confrontation with Eurosceptic MPs on Wednesday when Nigel Evans, the executive secretary of the 1922, told her: "It's not that people don't believe what you say, it's that people don't believe you can deliver." Stewart Jackson, who was David Davis's chief of staff when he was Brexit secretary, said she should "stand down immediately" if she loses next week's vote. "Conservative members will no longer tolerate her grovelling to the EU and national humiliation," said the former Conservative MP for Peterborough. "I suspect the Whips, 1922 (Committee) and Cabinet will help the process." 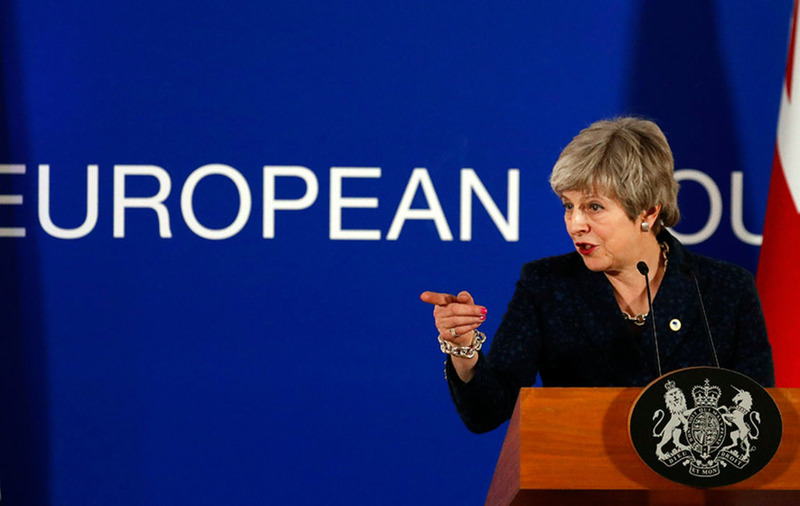 Mrs May's former policy adviser George Freeman said that if she lost the vote, Parliament would "take control and "switch to Plan B" to join the European Free Trade Association "with or without this PM". At a late night press conference, the prime minister made clear that she intended to make another attempt to get her Brexit deal through the Commons. If she succeeds, the EU leaders agreed to extend the Article 50 withdrawal process until May 22 to enable the British government get the necessary legislation through parliament. 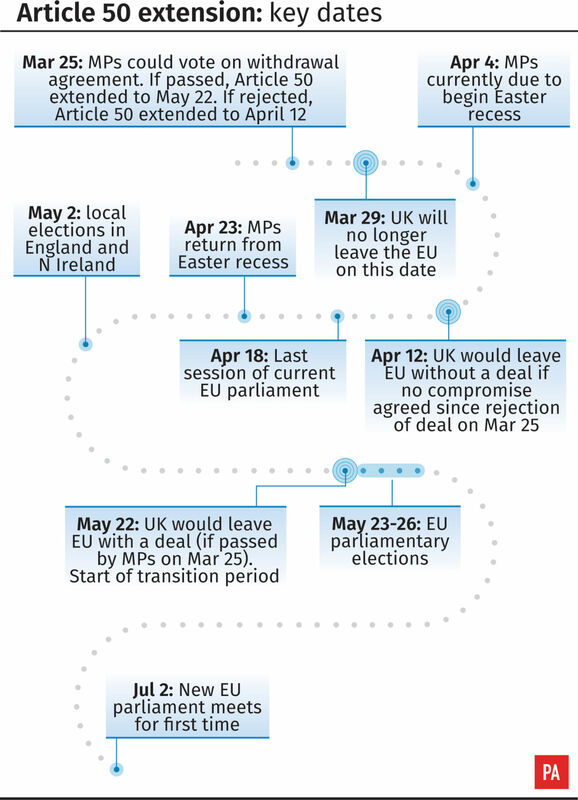 But if she fails to do so, the UK will have until April 12 to set out its next steps, with a longer extension on offer only if Britain takes part in European Parliament elections in May. The prime minister told reporters the "flextension" plan offered MPs a clear choice. 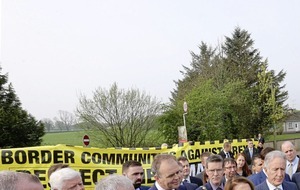 "We can leave with a deal in an orderly manner, have that extension until May 22, or if we don't get that deal, that vote, through, then we have to come forward with another plan, and if that plan means another extension, it means standing in those European elections," she said. 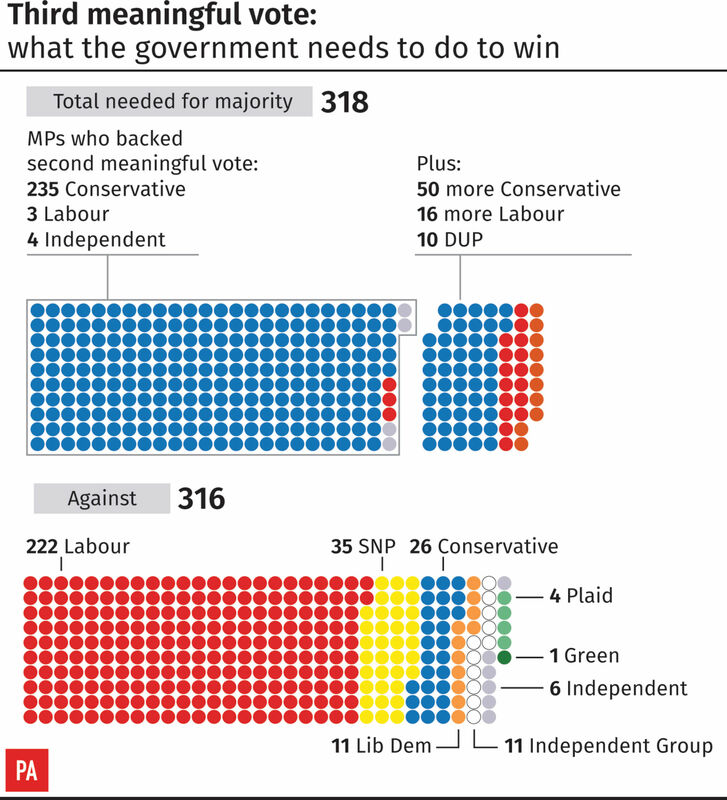 However, the chairman of the Commons Brexit Committee, Labour MP Hilary Benn, warned that he will table an amendment enabling MPs to hold a series of "indicative votes" on alternatives to Mrs May's plan. 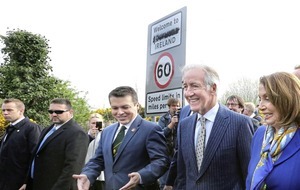 "This won't work if the prime minister is not prepared to move an inch," he told the BBC Radio 4 Today programme. "We need to open up this process because we have rejected her deal, we've rejected no-deal, the EU has decided to give us a little more time, and we've really got to get on with it."